I have a Lenovo laptop that has dual-boot Windows 7 and Windows 8. Read about upgrading Windows 8.1 to Windows 10 in this page, video included.And sometimes, because I am using Windows 8 more than Win 7, when I use Windows 7, the safely remove option is missing. So I thought, if you are in the same situation like me, you could try this first, or read the manual from Microsoft. 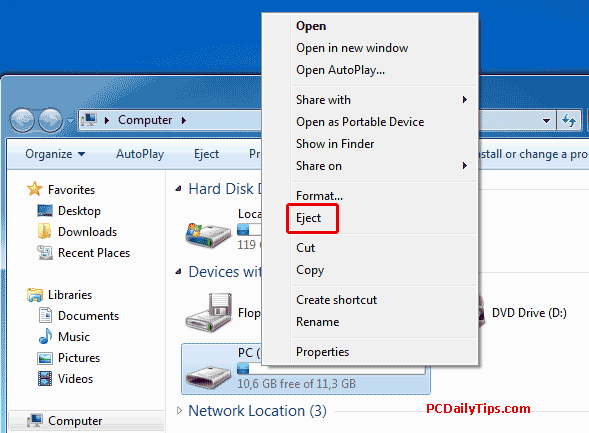 In Windows 7, we can choose the “eject” device, for example an USB device. So when you have a USB connected, you can right click the icon of the USB, and select, the “eject” option to eject the associated USB stick. Right click on the icon, right bottom corner, and select “Eject” when it is visible. Alternatively, you can do this in your “Computer” all listed drives, and select the drive letter, right click it, and choose “Eject” from the drop down pop-up. 2. 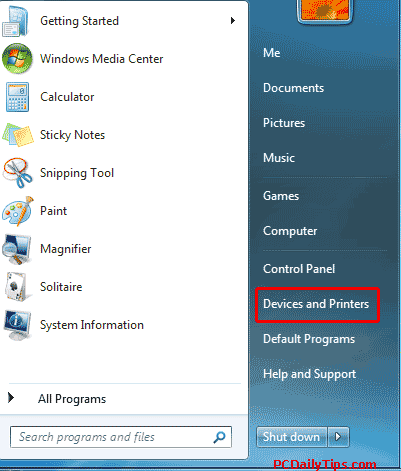 In the “Devices and Printers”, and, under the “Devices” list, look for your connected device’s name, in this case mine, is called, “Store ‘n’ Go“, this said, yours can be called differently, depends on the brand of the device you are using. and right click the icon, then click on “Eject“. That’s it, I hope this short tip can help you when you are in the same situation.